I'm back from the annual ASJA Writers' Conference in NYC, and it was worth the time and expense. Went to great panels on book publishing and promotion/publicity and moderated the "Secrets of Successful Freelancing" panels on Friday, April 28. My panelists (Sam Greengard, Susan Johnston, and Katherine Reynolds Lewis) shared a slew of great ideas and strategies to make more money whether you're a new freelancer or a more experienced one--so I've got lots to share in coming posts! When the panelists were asked about specific ways they marketed themselves, Katherine had a great suggestion. She asks clients what sections of the publication they're having trouble filling, or what specific types of content they lack writers for. Then she pitches the type of piece or the type of work she knows they need--and gets an assignment. That's one reason I suggest that new writers break into writing for online and print publications with short FOB pieces. The editors for these sections have to fill them every month, and they need writers to come to them with ideas. Do that, and you're more likely to make a sale and get your foot in the door. So, the Hot Freelance Tip of the Day: Sell What Clients Will Buy. **Special thanks to the people at ASJA who bought Writer for Hire: 101 Secrets to Freelance Success! If you've got it and find it helpful, I'd love a review on Amazon or BN.com. And I'll be picking the winner for my first Writer for Hire giveaway by week's end, May 4. Enter here if you haven't already! I'm off tomorrow for ASJA's Annual Writer's Conference in NYC. (I'll be moderating the "Secrets of Successful Freelancers" panel on Friday, April 27, so if you're there, look for me!) Most years that I attend ASJA, I arrange to meet with editors and agents while I'm there. This year, I'm taking a different (more relaxed) approach. I'm going to promote Writer for Hire, to reconnect with old friends, and to attend panels on freelancing and book publishing that will hopefully help me continue to grow my career. As a freelancer, I spent almost all of my work time alone. Yeah, there's Twitter and Facebook and phone calls and texts, but you know what? I still feel isolated. I still lose enthusiasm for what I'm doing. Yet I become reenergized at a writers' conference like ASJA, where I'm surrounded by fellow freelancers of different stripes. I'll talk, listen, laugh, bond, commiserate, maybe do a few tarot readings (we'll see! ), and come home with not only some work leads and possibilities, but an increased sense of appreciation for what I've chosen to spend the last fifteen year of my life doing, career-wise. Which brings us to the Hot Freelance Tip of the Day: Get out of your house. Don't spend all of your working time alone. You need contact with fellow humans, and it's a bonus if they are serious about their writing, too. (It's an even bigger bonus if, like you, they write for money.) So attend a writers' conference. Have lunch with a fellow writer. Create a writers' critique group. If time, money, or circumstances won't let you do any of that, at least leave your home. Head out to your local Caribou Coffee or Starbucks or pack up and work at the library. Listen to the people around you. Eavesdrop for ideas. People-watch. Stay connected to the world and your writing--and your psyche--will benefit. Consider how to market yourself as a freelancer and you likely think of the query letter. Makes sense--after all, that's often a writer's first weapon of attack when it comes to selling your work to print and online publications. It's also typically the way you approach an agent or editor about a book project. But there's a world of marketing possibilities beyond the query letter. What about a letter of introduction, or LOI? Attending writers' conferences and signing up for one-on-one sessions, where you have a chance to pitch your project face-to-face? Crafting a well-written cover letter to send with an essay? Or advertising your work through your email signature, website, blog, Twitter bio, you name it? My latest marketing technique is simple. I bought a couple of T-shirts that say, "Ask me about my novel." And I wear them several days a week, when I'm planning to be out in the world--whether that means running errands, working at my local Caribou, picking my son up from school, or heading to the Y to work out. It may seem like an unusual way to market The Honesty Index, but you know what? I'm willing to experiment with new tactics, especially today where my novel and my new book on freelancing, Writer for Hire: 101 Secrets to Freelance Success, are competing against more than 3,300,000 books that were published in 2011 alone. So my Hot Freelance Tip of the Day is this: Market many ways. Send queries. Create LOIs. Market yourself through your email sig, blog, or website--or hopefully all three. Mention your expertise on LinkedIn. Ask current or prior clients to recommend you to potential clients (almost all of my ghostwriting work now comes through word of mouth.) Wear a T-shirt. Consider all of the ways you can market your freelance work to potential clients, and add more marketing tools to your freelance arsenal. The more you use, the more likely you are to get work. ***Only seven people have entered my giveaway--good news for them, odds-wise, but bad news for you if you'd love a free signed copy of my new book! Visit here to enter the giveaway and stay tuned. I'll announce the winner next week, after I return from ASJA's annual conference in NYC. It should be a great event--I'm moderating a session on making more money as a freelancer. Hope to see you there! I've posted before about developing regular clients. But what about clients who you only wrote for once? Or the clients you wrote for months ago...maybe even years ago. Shouldn't you just move on? Keep in touch with former clients on a regular basis. How often will depend on the nature of your working relationship. I contact former clients every three to six months. Those contacts may not turn into work, but they do keep my name in front of my client. Hope your May is off to a great start. I just wanted to touch base and see if you’re looking for anything in particular to assign or for available reprints. I’ve been doing a lot of psychology pieces lately (topics like how criticism can be a good thing, how to read body language, how procrastination can be positive, etc) that I can “tweak” for your readers, so let me know if you’re looking for something in particular. In the meantime, I’ll drop my current reprint list below. Hope you’re doing great. I wanted to let you know that I have a new book out on ghostwriting and coauthoring. It’s aimed at would-be ghostwriters, not salespeople (or sales coaches) but I wanted to make you aware of it in the event you know of colleagueswho are considering writing books. I’ve attached a press release about it FYI. I’m finishing a project for an MD and a proposal for a psychologist now and am actively looking for new clients. Thank you so much and I hope 2011 is a wonderful year for you personally and professionally! **In the midst of promoting Writer for Hire: 101 Secrets to Freelance Success, I've also been releasing new ebooks on successful freelancing. The newest? 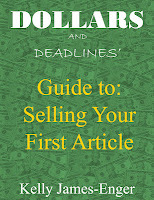 Dollars and Deadlines' 10 Most Popular, Proven Ways to Make Money as a Freelance Writer. It lists the 10 most popular freelance opportunities (based on my annual survey of freelancers' income and work) along with their pay, how to find markets, and how to break in and is a great companion to my other ebooks. I recommend it to writers who are serious about making money for their work. 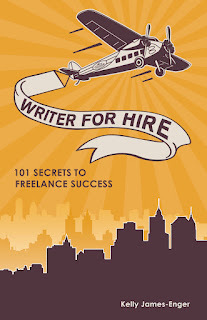 My new book, Writer for Hire: 101 Secrets to Freelance Success, was published last week by Writer's Digest (several weeks ahead of schedule.) For the next six weeks, make sure you're tuning in here regularly. I'll be blogging regularly, sharing lots of practical strategies and freelance advice, doing guest posts on some awesome freelancing blogs you should know about (if you don't already), and doing giveaways as well. Every post, I'll share a Hot Freelance Tip of the Day, which will likely tie in with one my 101 secrets. Today's tip? If you're a new writer, pitch a market, whether it's a print magazine, an online publication, or a blog, that you can write for more than once. Thanks, Sarah, and I’ll talk to you soon! See how informal this pitch is? I don't have to do all the background reporting I would do if I were pitching a new market. Second, someone I've worked with before is much more likely to say "yes" to my pitch (assuming I did a good job the first time out). In this case, my editor assigned four of the six ideas in my pitch, which cuts my marketing time even more. Now, back to the giveaway. This first one is...drumroll...a free, signed copy of Writer for Hire! Gee, what an awesome idea, huh? To enter, post a comment below that includes a question you have about freelancing. I'll announce the first giveaway winner by the end of April. Big News! 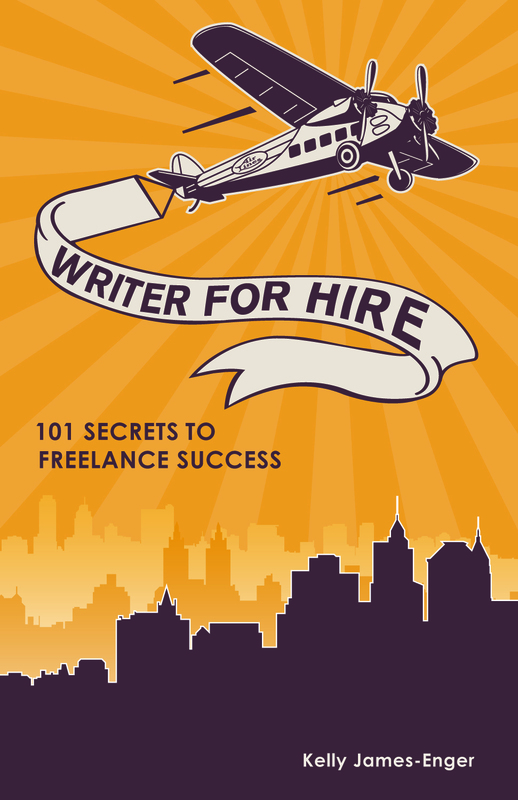 Writer for Hire: 101 Secrets to Freelance Success is now in Print! Woo hoo! A few weeks ahead of time, Writer for Hire: 101 Secrets to Freelance Success, is in print (Amazon says it's "available for pre-order" but it's in warehouses and is also available through Kindle. I have to say I think it's the best how-to-freelance book I've written, and if you're a new freelancer--or an experienced freelancer who wants to make more money (and don't we all? ), I hope you'll check it out. Stay tuned for some special promotions I'm doing in conjunction with the launch, including giveaways. And happy freelancing! Articles? Books? Why not Write Both? Earlier this week I taught my Webinar on writing articles, and suggested that even book authors consider adding article-writing to their work mix. I've found that doing both helps boost your productivity and income instead of choosing to do only one alone. I started out as a freelancer writing for magazines and newspapers, segueing into writing books a few years into my career. Later I added ghostwriting and coauthoring to my work mix as I found that I could make more per-hour writing books with experts as opposed to authoring my own. Today, I've found that writing both articles and books makes me much more efficient and boosts my income. Part of the reason is that I retain as many rights as possible to my work. That means I can sell reprints to articles, which results in thousands of dollars’ worth of “free” money each year. But retaining rights to articles also means I can repurpose them as I see fit. So when I collaborated on a book with a client and wrote all of the fitness content, I had articles ranging from how to launch a walking program to staying motivated to exercise to using a heart rate monitor—all that I owned the rights to. As a result, I could use them for the book. Of course I still have to rework my content to fit the book, but it’s a lot easier than starting from scratch. I’ve taken the same approach with the books I author under my own name, which makes me more efficient. When I sold Six-Figure Freelancing to Random House back in 2003, it garnered only a $15,000 advance. But I already had about 25 percent of the material for the book on my hard drive, from columns and articles I’d written for publications like The Writer. Repurposing that material meant writing the book took less time overall, boosting my hourly rate. This double-dipping works in reverse, too. As I write a book, I often come up with ideas for articles. I may have to do some additional research and interview sources, but much of the background research is done, which saves me time. As a result, I can get paid for the book (through an advance) and for the articles it generates, which again boosts my overall hourly rate. Regardless, the most successful freelancers I know write both articles and books, creating a living out of checks of all sizes and projects that range from a few hundred words to 80,000-word manuscripts. Like me, they enjoy the challenge, satisfaction, and income that authoring both short- and long-form projects provide. Starting out, you’re likely to be writing articles and other short pieces rather than books. That's totally normal. Just keep a book or two in the back of your mind. It may be a natural segue into another form that can produce income and increase your productivity as a freelancer. ***Do you enjoy contemporary women's fiction? 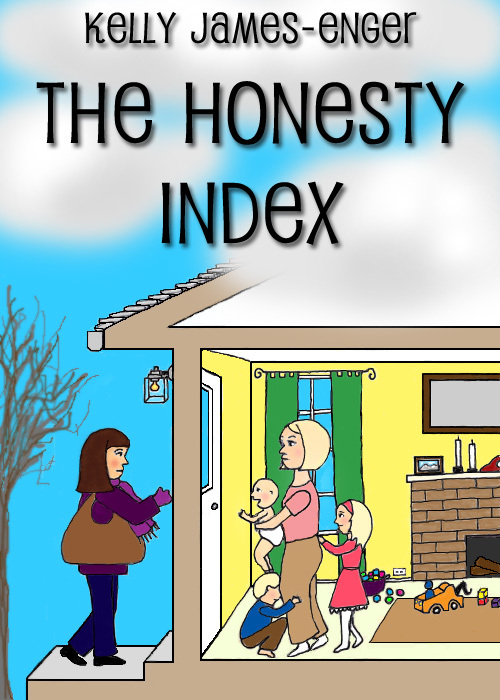 My latest novel, The Misery Index, is now available on Amazon, as well as on Kindle and Smashwords! If you enjoy this type of book, I hope you'll check it out. Don't Forget my Writer's Digest Webinar Tomorrow! Want to write articles for print and online magazines? Register for tomorrow's Webinar (Make Money NOW Writing Freelance Articles) and you'll learn everything you need to know to get started. You'll also get a free critique (by me, of course!) of a one-page query letter. Busy tomorrow, or want a less expensive way to break in? 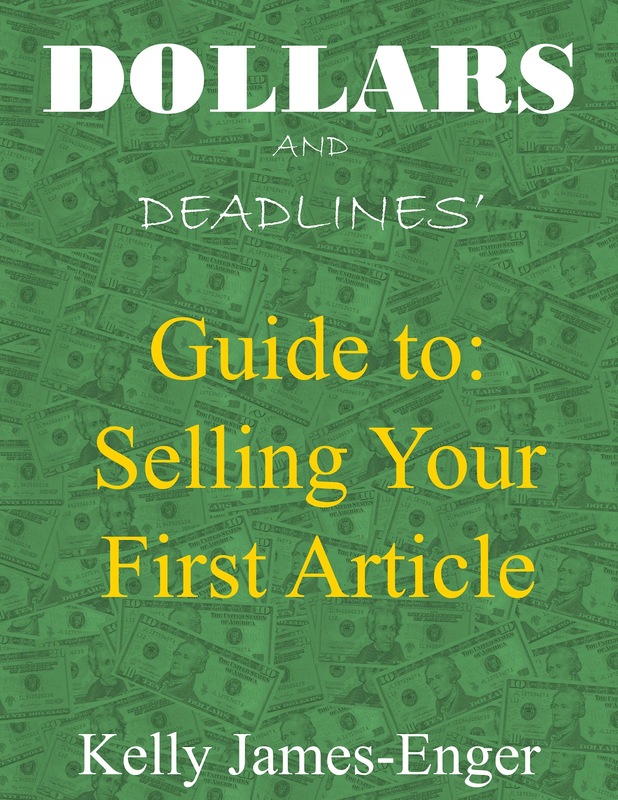 Then download Dollars and Deadlines' Guide to Selling your First Article. It includes a ten-step process to pitching, researching, selling, and writing your first piece. Q: Stephanie, tell me a little bit about your background. A: Post-college, I worked full-time in the publishing industry, doing both editorial and marketing work for two different book publishers. I felt content for awhile, because I'm a major book nerd but, after a few years, I no longer felt fulfilled. I was tired of publishing other people's work. I wanted to create and publish my own. About five years ago, I jumped ship and went full-time freelance. Since then, I've done writing and editing work for a variety of magazines and newspapers, and have even co-authored and ghostwritten ebooks, blog posts, and essays. When the economy took a turn for the worse, I realized I needed to diversify, so I went through a career coaching certification program, and launched Career Coaching for Word Nerds. I love the mix of things I do now (I sometimes even sing funeral masses! ), but I know I'm not done experimenting with my career. Goals change. People change. It's exciting! Q: What made you decide to create the starter kit? A: When I first launched Career Coaching for Word Nerds, its mission was similar to that of my freelance blog: give beginning word nerds the help and direction I wish I had when I was just starting out. To that end, I tried a few things. I offered a variety of one-on-one coaching and consulting packages. I ran an e-course. I even planned and ran a large-scale speed networking event for publishing professionals. As I experimented, I learned more about how others like to learn, and about how I like to share information. It was a period of trial and error. Running an e-course wasn't my cup of tea, but I still wanted to share that information in some way. I'm obsessed with worksheets and spreadsheets and lists. I thought maybe others would also enjoy learning freelance writing skills using the same tools. The starter kit is a precursor to a longer-form workbook I'm working on: 5 Weeks to Freelance Awesome: An Action Plan. It's the freebie preview. ;) It contains worksheets I created and use myself on a near-daily basis. A: So many beginning freelancers have a grasp of their goals, but don't know how to get there. The list of things they know they need to do is just so overwhelming. How can they prioritize? Where should they start? How do they know they're ready? Anyone who's spinning in circles that way -- frantic, overwhelmed, paralyzed -- could certainly benefit from a jumpstart. Q: Tell me some of the ways a freelancer can jumpstart his/her career. A: The simplest thing to do is to look at your to-do list and ask yourself: Where do I want to be a year from now? Then, move the items on your list that will get you there to the top. Move the other items lower, or eliminate them completely. After that, break things down even further. Draw up a list of bite-sized action steps for each item on your to-do list that will take you from Point A to Point B. We often balk at starting a task because it seems so large. But when we can see a clear path, that fear is removed. So much of what holds us back can be traced to fear. We know what we need to do. But we're worried we're not ready. We're not good enough. We don't know the right people. That's just crazy-talk. The best way to get better... to meet the right people... to learn... is to dive on in. We self-educate ourselves as we go. We become ever more awesome. (Clearly.) We achieve our own versions of success. We can't just wait for it to come to us. A: You can learn more about me on my website, snag more freelance advice on my blog, and stalk me on Twitter. And if you'd like a free copy of Freelance Awesome: A Starter Kit, just sign up for my mailing list! ***Thanks so much to Stephanie for this Q and A! Next up, I'll be sharing the most recent sales numbers and explain why you need an e-version of any print book you publish. Stay tuned! 1. Make freelancing friends. When I started freelancing, I knew no other writers, much less any who wrote for a living. Over the past years, though participating in online forums, organizations like the American Society of Journalists and Authors, attending writers' conferences, and teaching workshops and classes, I've made fellow freelance friends. And they are invaluable, not just for market advice, work leads, and constructive criticism, but for support and camaraderie as well. 3. Make time for the work you want to do. Yes, I write for money. But the longer I've freelanced, the more important it is to write for personal satisfaction, too. Selling an essay pays peanuts compared to writing a service article, but the psychic rewards are significant. Remember, I started out as a freelancer because I wanted to escape the law--and write fiction. Freelancing was just a stopgap measure while I pursued my dream of becoming a novelist. And even if I can't support myself writing "hen lit" novels, making time for fiction them make me happier, not just as a writer but as a person too. 4. Embrace change--or at least don't fight it so hard. On the technology adoption curve, I'm no "Innovator" or "Early Adopter." It takes me a while to accept the idea I need to do things differently, much less try something new. But you can't stay static in an ever-changing world. You have to learn new skills, figure out new ways to market yourself as a writer, and take on new challenges even when it makes you uncomfortable. Learn skills that make you more valuable to clients, and continue to build on those as you gain experience. 5. Think long-term. Early in my freelance career, I was only focused on getting one assignment at a time, and on making my annual income goal. That worked, for a while anyway. Today I try to maintain a dual focus--doing work that will pay the bills in the short-term but that also helps support my long-term goals. I suggest you think not only about this coming year, but where you want to be five, even ten years from now, when you're considering what types of work to do and what skills you need to acquire.